For urban adventure seekers, few things are as exhilarating as hitting the pavement of the boroughs and seeing where the day takes you. But it can be grueling out there in the summer heat. Fortunately, New York has a deep web of hidden points of delicious respite waiting for you — if you know where to find them. These are not your sidewalk cafes; these are al fresco urban oases where you can delight yourself with a bit of a breeze and put some distance between you and the grit of the streets. Seeking sustenance and solace from the teeming masses of competitive curb crawlers? 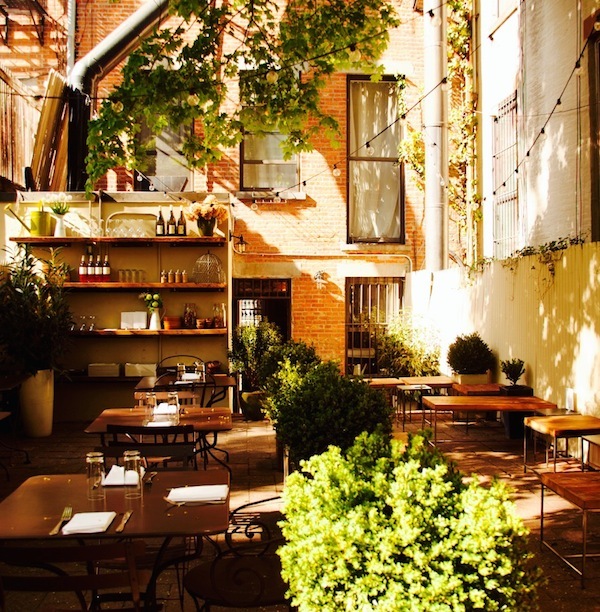 Find serenity with our NYC outdoor dining guide to hidden New York secret restaurant gardens. Executive chef Alberto Ibrahimi at Barbone will treat you like family and introduce you to his version of Italian soul food. Fresh ingredients, a full bar, an extensive wine list, and a spacious outdoor dining area make this a one-stop relaxation destination. The executive chef team behind midtown Manhattan’s Michelin-starred (and, sadly, shuttered) Seasonal Restaurant & Weinbar opened this casual homage to Austria’s wine taverns. 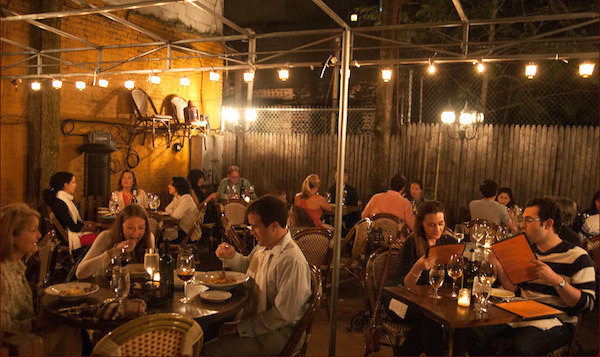 Located in Alphabet City, it features an eye-pleasing menu of wonderfully prepared rustic Austrian best enjoyed beneath the patio’s hanging garden. A sustainable restaurant since opening in 1993, Home boasts a menu that showcases the best of New York’s regional agriculture. 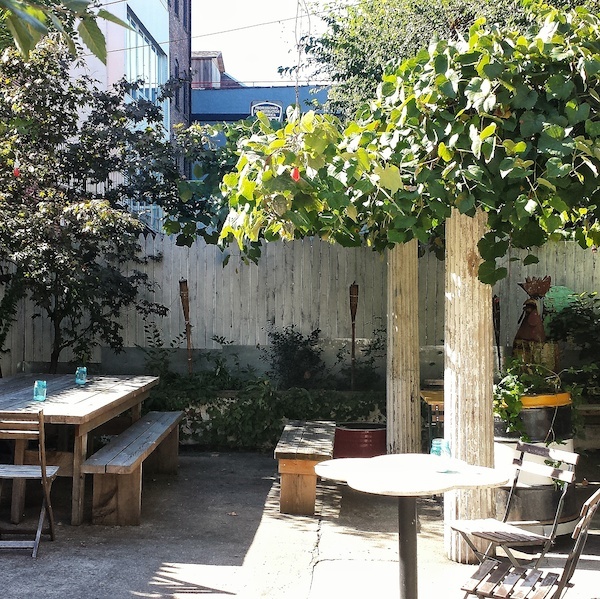 Beyond the local bounty, the petite eatery boasts an intimate wood-paneled backyard seating area that is guaranteed to ease and please. At Fort Greene’s ICI Restaurant, executive chefs Armando Reyes and Robert Howay prepare du jour bounty with a contemporary French twist (garlic scape soup, anybody?). 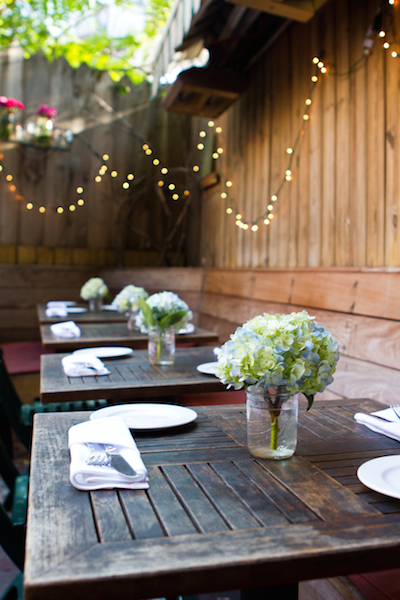 Whether you go for dinner or brunch, the garden seating that hides behind the 19th-century brownstone is positively transportive. Sure, it turns into a posh dance club at night, but the many Asian-themed rooms at The Park help make it a Meatpacking District portal to paradise. Here’s a place where you can choose to actually sit outside — or just feel that way while inside. If the idea of indoor bamboo groves isn’t outdoorsy enough for you, the al fresco garden at The Park will provide a quick trip to another place and time. This cozy Gowanus eatery offers a broad selection of eclectic modern American cuisine and craft beer and cocktails. Chef John Poiarkoff applies heritage techniques to home-sown ingredients, giving new meaning to the concept of housemade specialties. Grab a table out back near the firepit and bring along a few hungry friends to share the experience. Andy Ricker’s Portland, Oregon-born Pok Pok offers authentic Southeast Asian alongside all the trappings of a Thai night market, right down to the cutlery. The menu is long, the execution is grand, and, with its DIY-vibe, the outdoor seating is BK all the way. 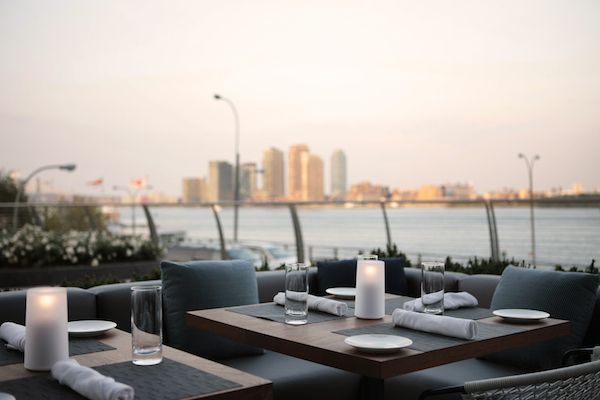 Just beyond the looming towers of Midtown you can treat yourself to the casual elegance of Tom Colicchio’s Riverpark restaurant. The highly seasonal daily menu from chef Bryan Hunt at this Kips Bay gem showcases produce grown in its own urban farm — just a few feet from the kitchen. 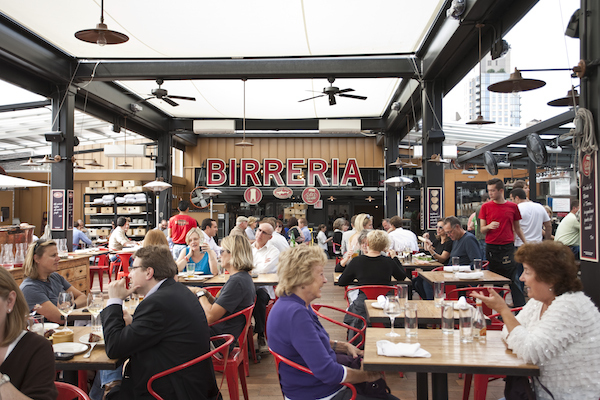 And, the open-air dining area delivers sweeping views of the East River and its skyline, day or night. 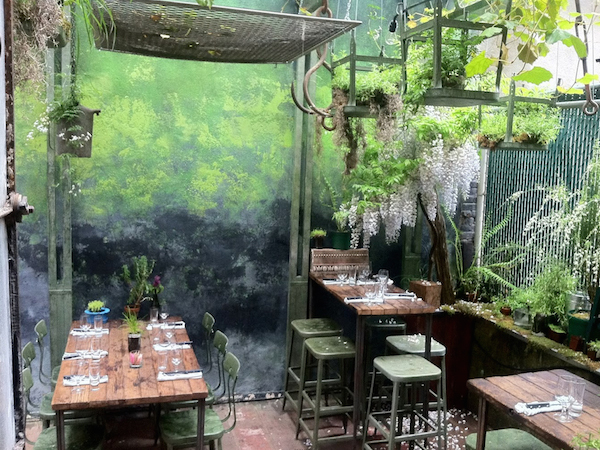 What are your favorite secret NYC restaurant gardens? Tell us here or over on Facebook, G+, or Twitter. Your secret is safe with us. 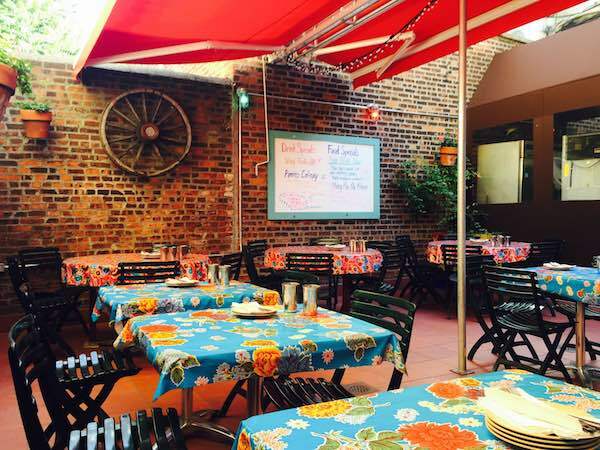 And then book a table to check these off your summer outdoor dining list. Michael Rice is a New York-based writer, musician, and food enthusiast whose work has taken him to China, Japan, and throughout the United States. You can follow him on Twitter @mricenyc. Really loved this piece-made me crave those cool spaces to relax with friends-great secrets revealed! It’s always fun to find and try out a new restaurant. 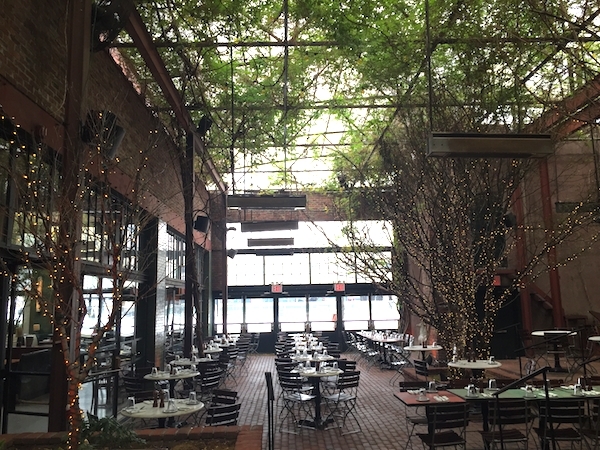 Thanks for sharing some great options for serene dining in NYC.